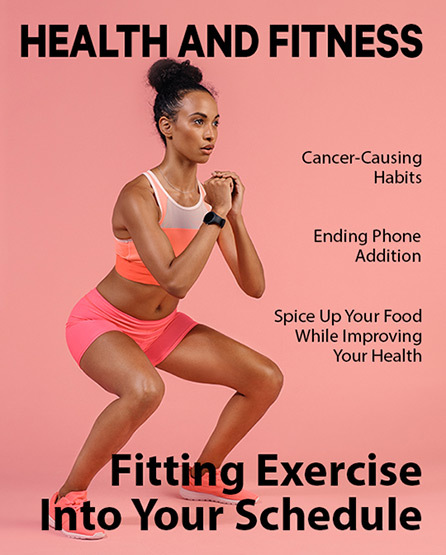 Get motivating health and fitness articles sent directly to your inbox. Having trouble viewing this email? Click Here to view the web version. WOW! Just take a look at Tara, mother of 4 children and a champion. 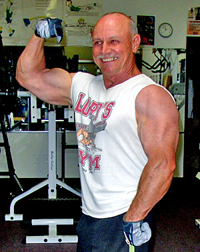 Ron at 61 years, an amazing definition of never growing old. Staying fit is the answer! life enjoying playing with your grandchildren rather than rocking in a chair. YOU ARE JUST ONE CLICK AWAY FROM BECOMING A BETTER YOU! HELP LIKE YOU NEVER HAVE HAD BEFORE. Desserts are a delicious and fun part of life... that is until you start working towards a fat loss goal. Then dessert becomes the enemy that pops up at birthday parties and get-togethers in the form of cake, cookies, cupcakes and candy, tempting you to give in. So what do you do? Give up desserts forever? Taking a zero-dessert stance can be risky because it increases your chances that the large slice of cake that ends up taking you down will be followed by some ice cream, a handful of cookies and topped off with some chocolates for good measure. I don’t want your fitness results to be forfeited over a slice of cake, so I’ve come up with the following 7 Steps to Guilt-Free Desserts. Use these steps as your guide to safely navigate sweet temptations and to quickly arrive at your fitness goal. Fresh, organic, seasonal fruit is the ultimate guilt-free dessert. It’s filled with fiber, vitamins, minerals and delicious, natural sweetness. Don’t be afraid to include some fruit in your diet. Learn to savor and enjoy fruit just as you would a decadent slice of cake. Fruit should be your number one, go-to, favorite dessert. 2. Choose Only Wholesome Sweeteners. When fat loss is your goal, cane sugar and corn syrup have no place in your diet. Ever. Not even when you indulge in dessert. Lucky for you, there are plenty of more wholesome sweeteners available which will have less of an impact on your blood sugar. Try: raw honey, pure maple syrup, coconut crystals or stevia. 3. Use Whole Food Flours. So you have your wholesome sweetener and now you’re reaching for some white flour to bake a cake, right? Wrong. Just like sugar, wheat flour should be banned when fat loss is your goal. Try these whole food flours instead: almond flour, coconut flour, flax meal or oat flour. 4. Take Your Chocolate Dark. If chocolate is your dessert-of-choice, then learn to love the dark stuff. 73% cocoa content is a good place to start, then as your sweet receptors become more sensitive you’ll start to like even darker chocolate. Dark chocolate is lower in sugar and higher in cocoa, which is where the actual benefit of chocolate lies: antioxidants, vitamins and minerals. Yes, this applies even to fruit. When you’re working towards a fat loss goal you do need to control the amount of sugars that enter your body, even when that sugar is wholesome and from a piece of fruit. Keep your desserts to no more than a few bites. Learn to savor and enjoy. If fat loss is your goal, then dessert should not be an everyday occurrence. Lean meats, and an abundance of fresh vegetables should make up the bulk of your diet. Wholesome, portion-controlled desserts are OK to include occasionally, but not regularly. When you’ve met your fitness goal, and are maintaining your results, then you’ll be able to include wholesome desserts more often. I would never propose to use food as a reward for exercise, but I will say that working out should be a requirement before including wholesome desserts in your diet. If you’re not working out then even wholesome desserts in moderation could lead to pounds gained. Exercise is a huge part of the puzzle when it comes to losing fat and getting lean. If you aren’t happy with your current body then feel free to reach out to me. It’s my goal to help each and every one of my clients achieve their best body ever. You’ll see quick and satisfying fitness results when you join my exercise program. Call or email today – let’s get started! Cumin, Curcumin, and Cardamom, Oh My! If you’re worried about giving up your favorite sugary treat, relax. Right now your taste buds are accustomed to those ultra-sweet treats but with time you will adjust. Soon fresh fruit and dark chocolate will taste perfectly sweet and your old favorites will lose their appeal. Stick with it! Boxed brownie mixes are filled with refined sugars and grains, so make with this wholesome recipe instead. 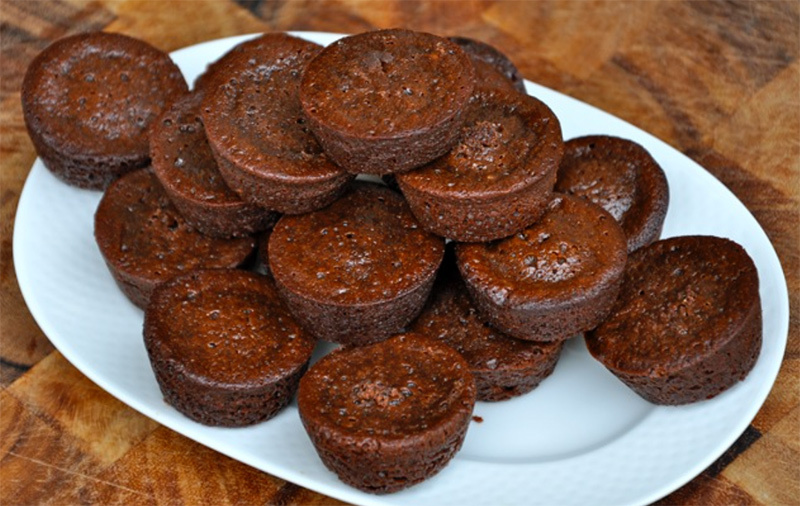 It’s always a good idea to make these brownies in a mini muffin pan since this really forces portion control. Just eat one brownie and you’ll be able to enjoy this wholesome treat guilt-free! Also feel free to reduce the amount of honey used, or to replace the honey with stevia to taste, in order to reduce the total sugars in this dessert. 1. Preheat oven to 350 degrees F. Grease a mini muffin pan with coconut oil. 2. In a double boiler, gently melt the chocolate, coconut oil and raw honey. Remove from heat, allow to cool, add the eggs, vanilla and almond extracts. 3. In a medium bowl combine the almond flour and salt. Add the wet ingredients and mix well. Stir in the mini chocolate chips. 4. Fill the mini muffin tins nearly to the top. Bake for 15-25 minutes until golden and set. 5. Allow the brownies to cool in the pan — if you don’t wait then they fall apart. Enjoy! Motivate your friends, family and co-workers! Use the “refer a friend” link below to forward this newsletter to your friends, family, and coworkers.